Dr. Immanuel Brockhaus is a jazz pianist, keyboardist, composer, producer, teacher and author. He published several books about piano and band playing. Other publications include a research project about digital editing techniques in popular music (Inside The Cut, Transcript 2010) and an article about the early sound of ECM productions. He lives in Bern and Berlin. After completing his PhD in Sound Studies at the University of Bern and the University of the Arts Bern, Immanuel Brockhaus is continuing to encourage the dialogue about present and future sounds in popular music. With thousand more details, the book shows a complete history of individual sounds in popular music. Based on the Actor Network-Theory and Science & Technology Studies, this is the first book in the field of Sound Studies that investigates technological, sociological and aesthetic relationships of iconic sounds. 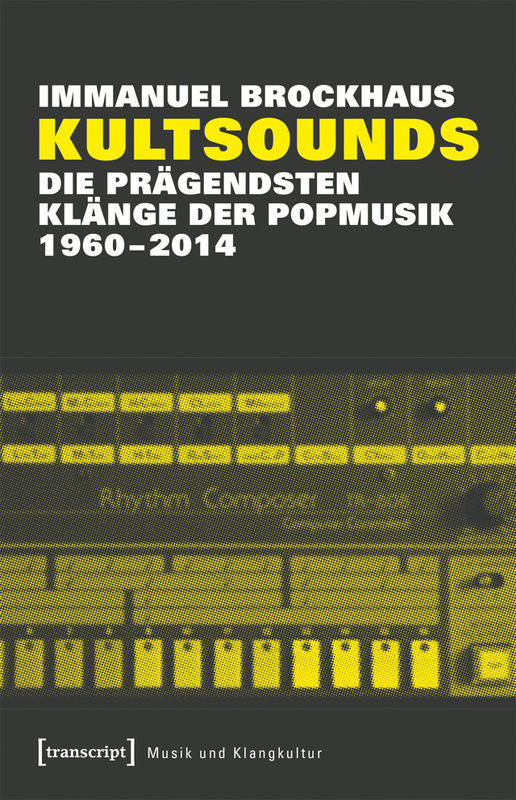 “Kultsounds” explains how inventors, producers, engineers and musicians are part of the evolution of sounds and a sonic “Zeitgeist” from 1960 – 2014.